Galway East Tourism Marketing Limited is a community-based tourism company, with one full-time Manager, Neil Campbell, and a Board of Directors. The company was set up in consultation with representatives from the tourism industry together with representatives from various statutory agencies e.g. 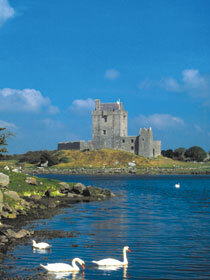 Failte Ireland, Ireland West Tourism, Galway County Council, Teagasc. To implement an integrated marketing strategy for the Galway East region designed to increase awareness of the area as a holiday destination. All activities are in line with Failte Ireland National Strategy.